The Democratic lawmaker tapped to lead a House panel on climate change might not be as much of an environmental hardliner as Democratic New York Rep.-elect Alexandria Ocasio-Cortez. 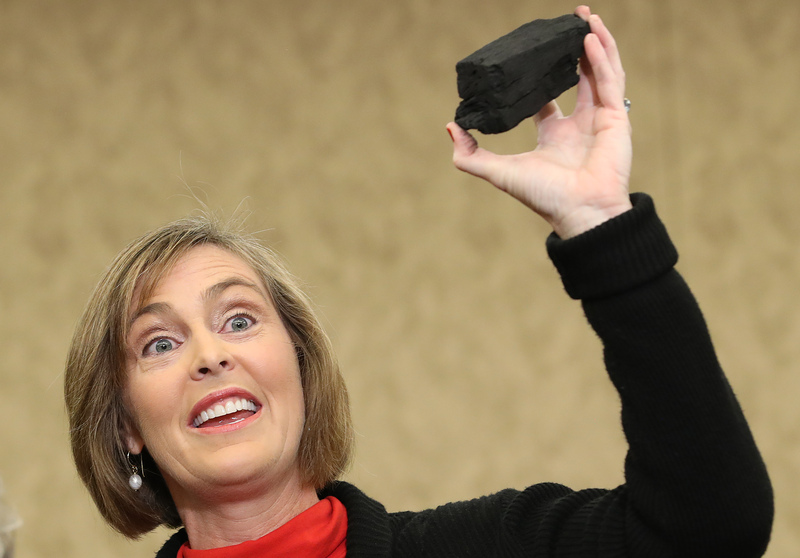 Kathy Castor — a six-term Democratic representative from Florida — confirmed Thursday her caucus leader asked her to chair a soon-to-be revived House committee on climate change. The committee, which was around when Democrats last controlled the House, will be picked back up again when the Democratic Party retakes control of the lower chamber of Congress in January. The revived committee will focus solely on climate change change-related issues and solutions. Castor made clear the upcoming committee will not completely revolve around the Green New Deal. For example, Castor dismissed the idea that lawmakers who’ve accepted fossil fuel donations not be allowed on the panel, arguing such a rule would be a First Amendment issue. However, the Florida Democrat did welcome more transparency on where members receive their campaign contributions. The comments deeply rankled members of the Sunrise Movement, an environmentalist group that has been very supportive of the Green New Deal. “Without a mandate to create a plan and a requirement that its members don’t take fossil fuel money, we are deeply concerned that this committee will be just another of the many committees we’ve seen failing our generation our entire lives,” Varshini Prakash, co-founder of the Sunrise Movement, responded. A lot is still to be decided on the climate change committee. House Minority Whip Steny Hoyer said he doesn’t believe the panel should be given subpoena power — a comment that again attracted ire from the Sunrise Movement. Additionally, there is a brewing turf war among Democrats regarding what the committee will cover. Democratic New Jersey Rep. Frank Pallone will lead the Committee on Energy and Commerce and Democratic New Mexico Rep. Raul Grijalva is designated to head the Committee on Natural Resources — neither men wish to see legislation they would otherwise be spearheading be placed in another committee.